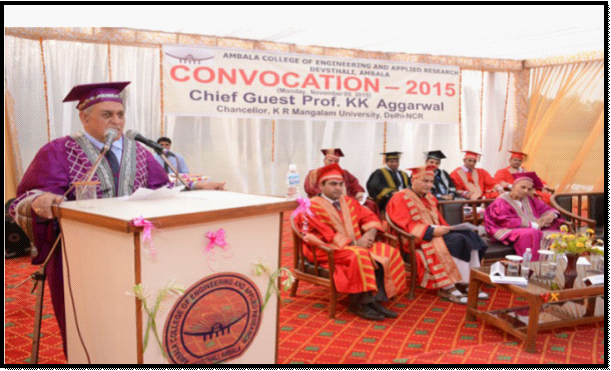 2nd ACE convocation was organized on 9 November 2015. 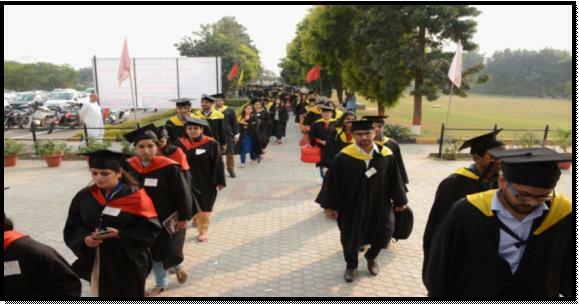 More than two hundred ACE alumni engineering graduates were conferred their degrees of Bachelor in Technology and Masters in Technology by Prof. K. K Aggarwal, Chancellor, K. R. Mangalam University, New Delhi. The convocation began with a majestic and grand academic procession followed by rendition of Saraswati Vandana sung by our students. Dr. Ashawant Gupta, Director, introduced the august audience to the vision and mission of the Institute. Dr. Amit Wason, Principal, touched upon the achievements of the college and highlighted the academic and professional growth of the Institue while presenting Annual College Report. A scintillating medals and awards ceremony was also part of the convocation, Ms.Rashmi Kumar CSE 2011 Batch and Ms.Charu Chawla, ECE 2008 Batch, were awarded Gold Medals for securing 1st Position in KUK degree course respectively in their branches. ACE also felicitated First Generation Entrepreneurs and Proud Alumni Er. Harit Mohan, CEO & Founder of ‘Signicent Information Solutions’, Er.Saurabh Gupta, Director, Exceledunet, & Er. 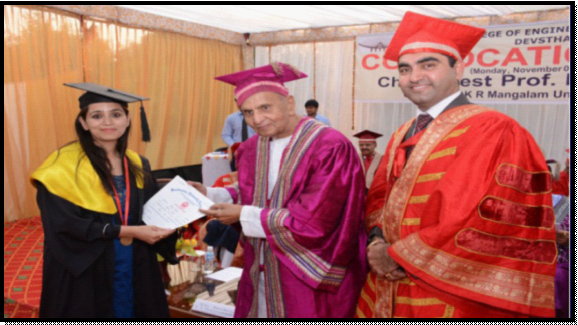 Vaibhav Bhasin, Assistant Director, Exceledunet at Convocation ceremony. The students and the audience were enthralled by the rousing speech of the Chief Guest, Prof. K. K Aggarwal. He exhorted all students to be “innovative and curious engineer.” He suggested that Biotechnology should be intermingled or combined with other engineering streams to make engineering more innovative and diverse. 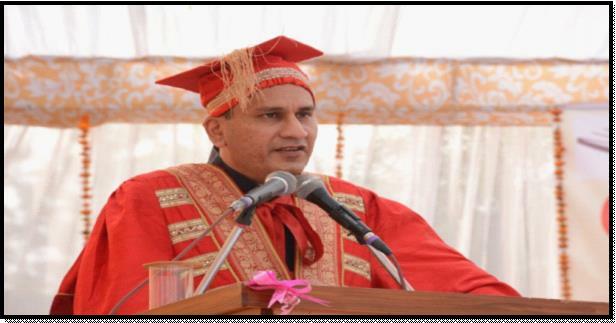 In his brief and captivating address he inspired the graduates, students and faculty of the Institute.